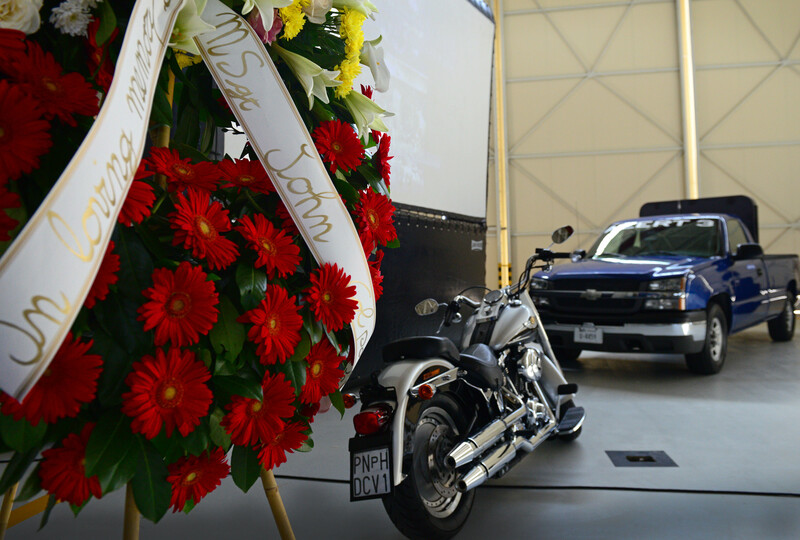 Hundreds attended a May 22 memorial service at Aviano Air Base, Italy, for a master sergeant who died in a motorcycle accident earlier this month. Master Sgt. John Colpoys Jr., 39, a transient alert technician, was a 20-year Air Force veteran who’d served at Luke Air Force Base in Arizona; Misawa Air Base in Japan and Spangdahlem Air Base in Germany before arriving at Aviano in 2011, according to a news release from the base. He died May 14 in Budoia, Italy. Shepherd said Colpoys’ love for his family was obvious when you saw him interact with them. He leaves behind his wife, son and mother, according to the release. A fellow master sergeant described how Colpoys made him and his wife feel welcome when they arrived at Aviano.